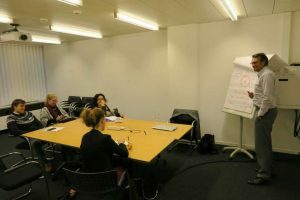 The International QCA Paper Development Workshop 2018 (ETH Zurich, Tuesday, 27. 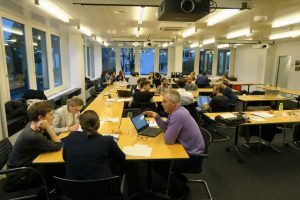 November 2018) provides a unique platform for researchers working on papers involving QCA to meet QCA experts, get feedback on their on-going research, and learn about the latest methodological developments in QCA. The workshop is interdisciplinary and interactive and allows for in-depth discussions and individual feedback from internationally renowned QCA scholars. To participate in the workshop, please submit an extended abstract of 1,000-1,500 words to jmeuer@ethz.ch by 7 October 2018. Your abstract should summarize your study’s topical area, theoretical background, research gap and question, and include details about the data, analytical strategy (for empirical papers), and preliminary results. A panel of QCA experts will review all submissions and evaluate their fit with the workshop according to clarity of purpose, methodological rigor, and innovative character of the research. We will notify applicants no later than 19 October 2018 about opportunities to participate. Accepted participants may submit a full paper by 13 November, 2018. Please find more information here in the Call for Abstracts. If you have any further questions, please do not hesitate to contact us.